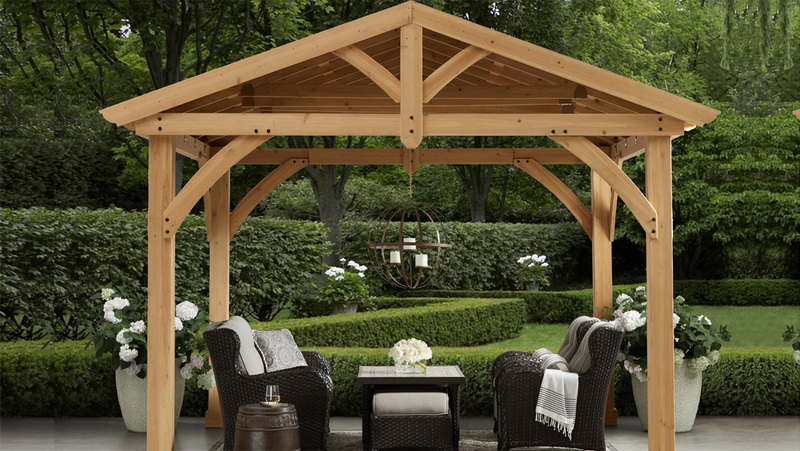 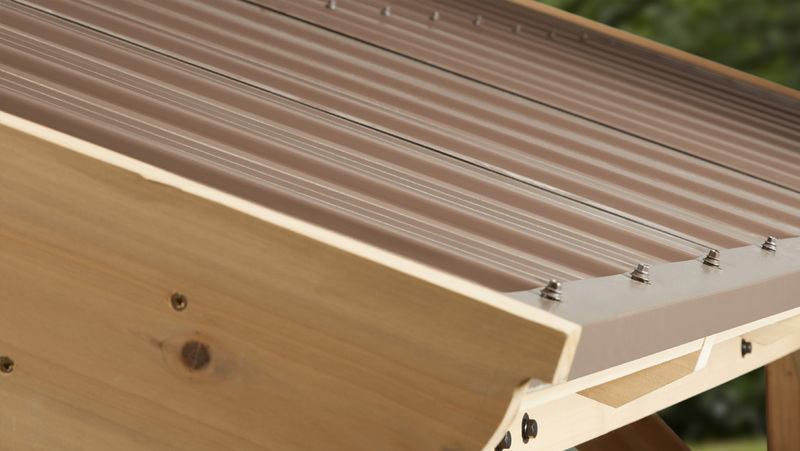 Expand your outdoor living space with the Carolina Pavilion. 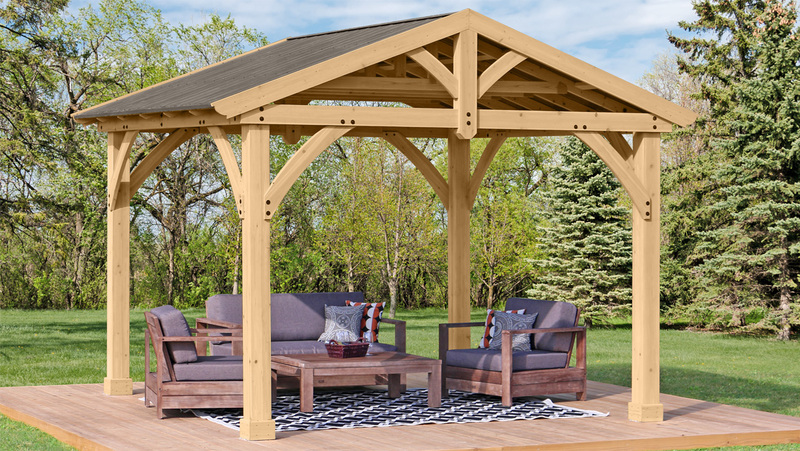 The Carolina Pavilion adds character to any area, creating the perfect setting for all your outdoor entertainment needs. 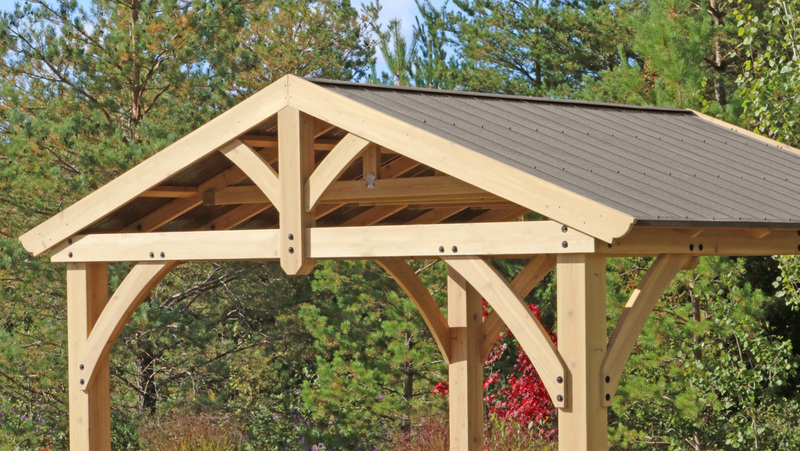 The stunning design features a coffee brown aluminum roof, sturdy posts with classic plinths, and sleek curved gussets. 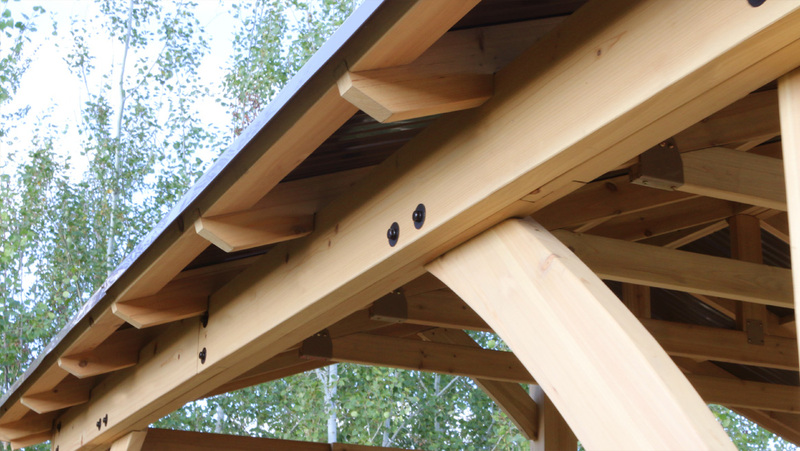 The 100 % cedar lumber is finished in a natural cedar stain that bring a warmth and distinctive feel to any space. 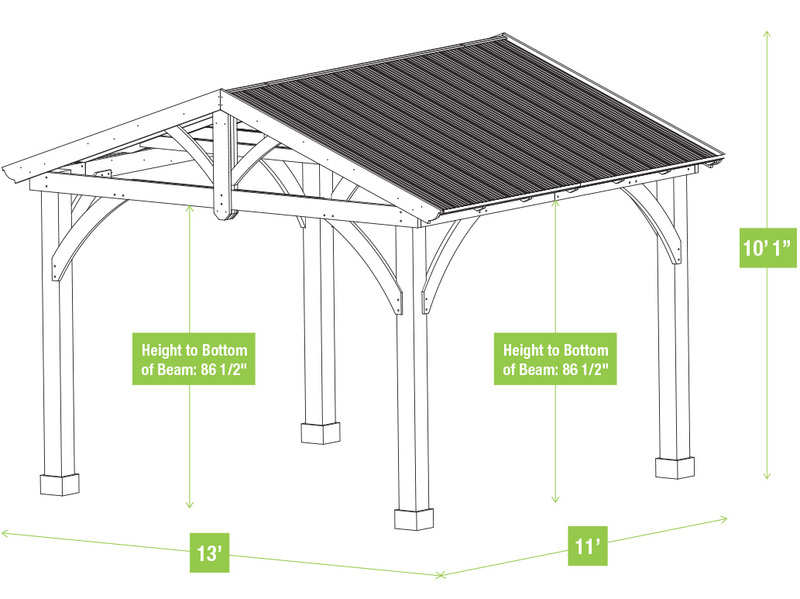 With interior dimensions of 9’ 10 ½” x 9’ 5 ½”, the Carolina pavilion can accommodate most outdoor furniture sets. 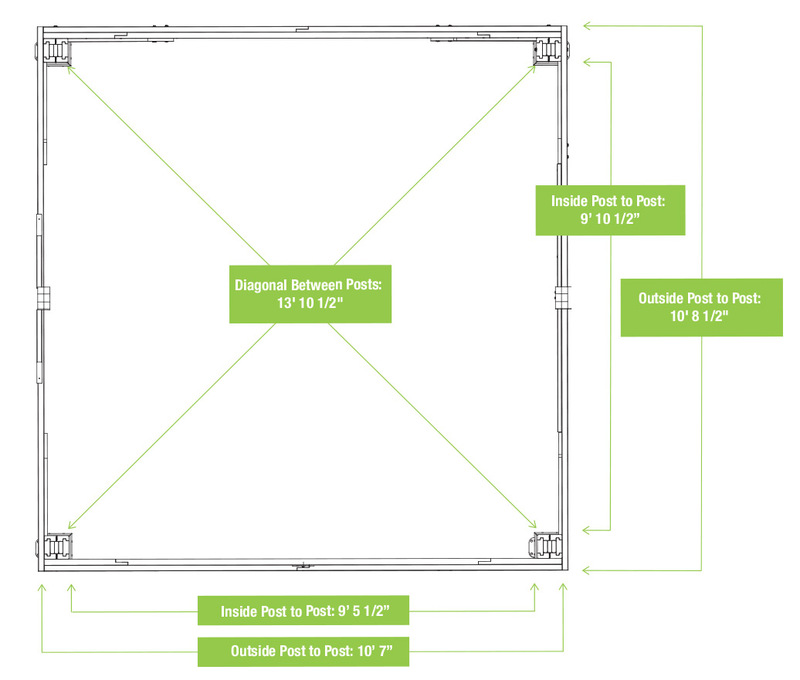 The illustrated step-by-step instruction and the helpful hints video will guide you through every step of the installation process. 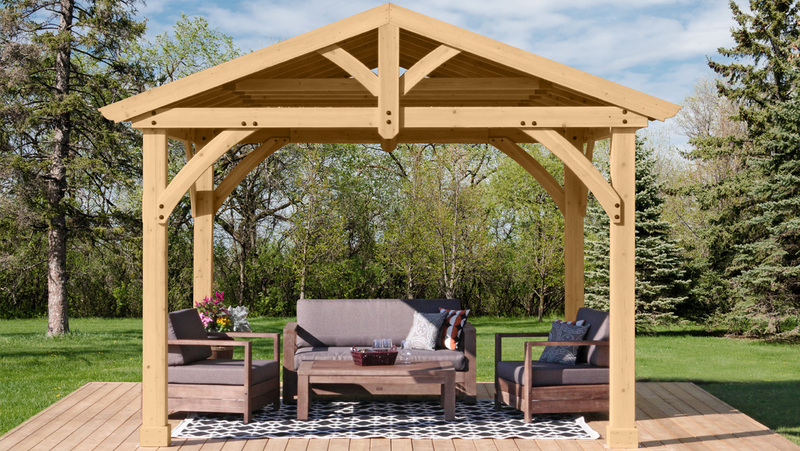 The Carolina Pavilion is a multi-functional product that will add a sophisticated and modern look to your outdoor space.